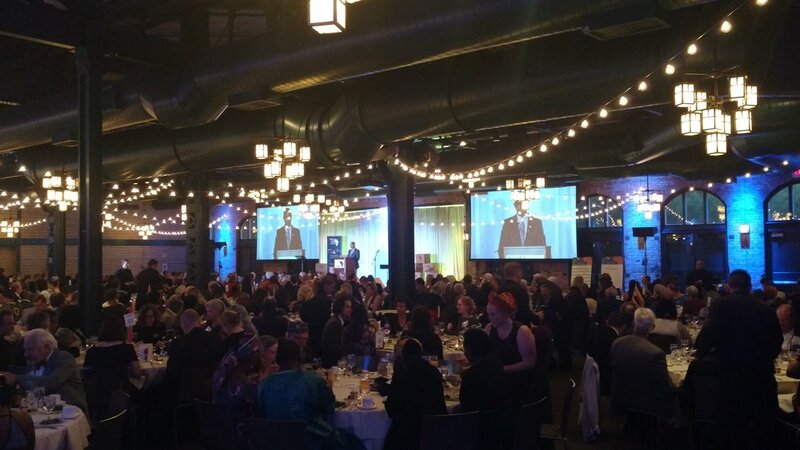 AV for You provided Audio, Video and Lighting rental equipment for Books for Africa’s 30th Anniversary Event at the Nicollet Island Pavilion in Minneapolis. 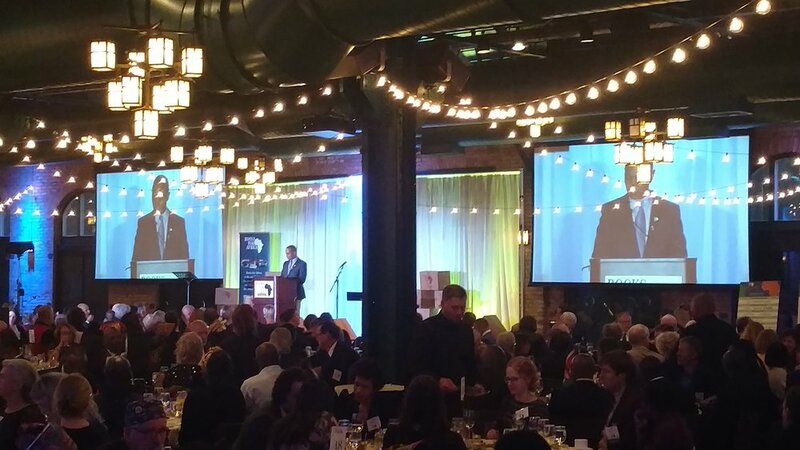 The sound at the event was heard through our audio rental equipment featuring dB Technologies DVA Line Array Speakers, QSC K10 Powered Speakers, Audio-Technica Gooseneck Microphones, Shure Wireless Microphones. We utilized our Behringer X32 Mixer and Behringer SD16 Digital Snake for clear dependable audio. For video rental equipment we used a Panasonic HD Camera, placed on a spider pod, for IMAG at the event. We utilized our Analog Way Saphyr Video Switcher and Playback Pro computer for simple switching between powerpoint and video rolls. For lighting rental equipment we set up Chauvet Ovation Lights for stagewash and controlled with our ETC Smartfade Lighting board. We also set up our American DJ Mega Bar’s to light up the white backdrop.